Nikos, who met his wife Valerie Brackett on a Sierra Club hike, shares a love of the West with her. Anticipating retirement in 2003, they responded spur-of-the-moment to a Wall Street Journal ad, and “it was love at first sight,” Nikos says. “Neither of us had ranch experience or had ever operated a business. We realized it’s important for this remote rural community to keep these ranches operating. 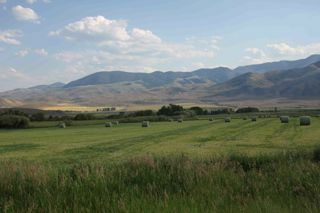 A place like ours provides good jobs and maintains the ranching character of the community. shifting to a natural beef program, without hormones or antibiotics, to get the higher price for natural beef. They have gradually protected their entire watershed. Between 2004 and 2006 they acquired 2,000 acres in a number of different parcels in the lower part of their valley. 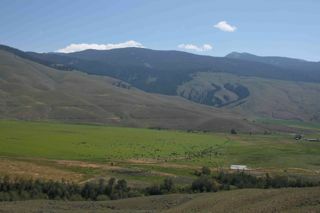 The Eagle Valley Ranch now stretches from 6000 feet elevation, near the source of Bohannon Creek, to the creek’s juncture with the Lemhi River. In the process, Nikos had to outmaneuver a developer who had optioned property along the Lemhi River at the end of his valley and acquire an additional 584 acres. 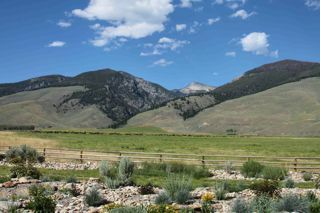 “We completed a conservation easement on 5,000 acres with the Lemhi Regional Land Trust in one transaction instead of having to negotiate with several landowners. “We can manage grazing, irrigation, and weeds more efficiently. “We can provide refuge for wildlife during hunting season or in winter. “We have worked with Idaho Fish & Game and the Bureau of Land Management (BLM) to do several projects that will improve water quality and keep water cooler for salmon.” One of their newest projects will eliminate a number of diversion points along Bohannon Creek and install an irrigation pipeline - a tremendous water saver - outfitted with fish screens. “On our own, we have converted a lot of pastures to intensive management, using electric fencing, rotation grazing and drinking troughs to improve the land and keep cattle out of creeks” Nikos says. Elk, deer, pronghorn antelope and birds are plentiful in the area. 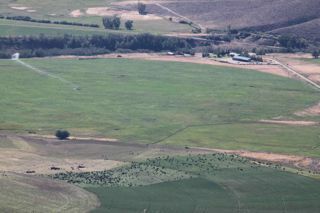 Few ranchers can afford to own 6000 acres like Nikos; they rely on BLM or FS grazing allotments to stay in business. If small ranchers went out of business, we’d pay around $5 a pound for hamburger. As ranches become more uneconomic, they will increasingly be subdivided and sold off as vacation homes on small parcels unsuitable for wildlife habitat. Some ranches would simply turn to weeds; noxious weeds are a huge and growing problem, and they tend to take over in the absence of stewardship.